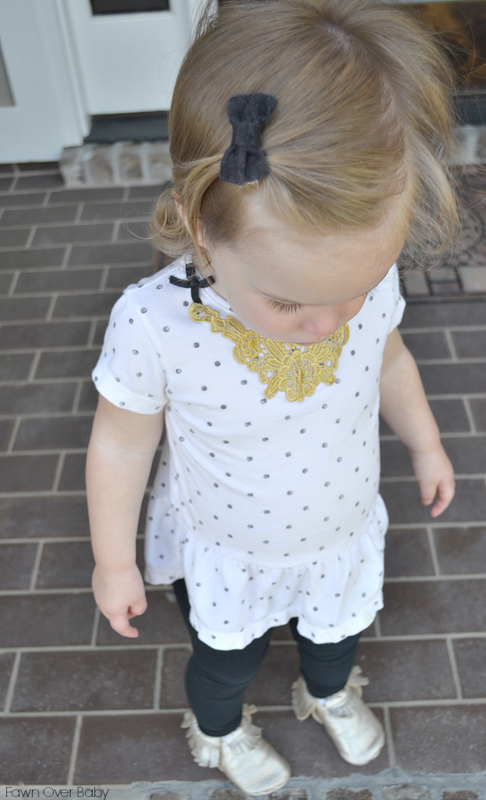 Fawn Over Baby: Bare Blooms: Hair Accessories For Your Little Lady - Review + Giveaway! 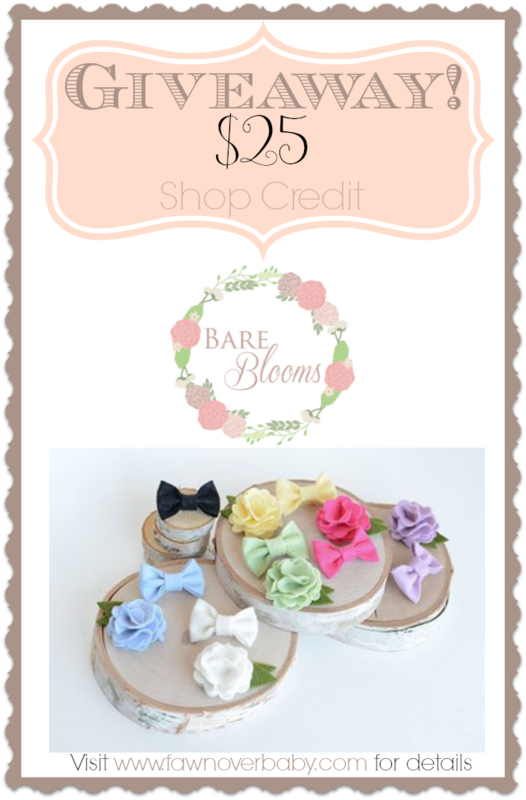 Bare Blooms: Hair Accessories For Your Little Lady - Review + Giveaway! It's Monday!!! You know what that means, time for me to share an exciting product review + Giveaway + Discount Code from a wonderful shop I happen to love! I love days like this, don't you? For those of you that love little girls in headbands or hair accessories, I have just the shop for you! 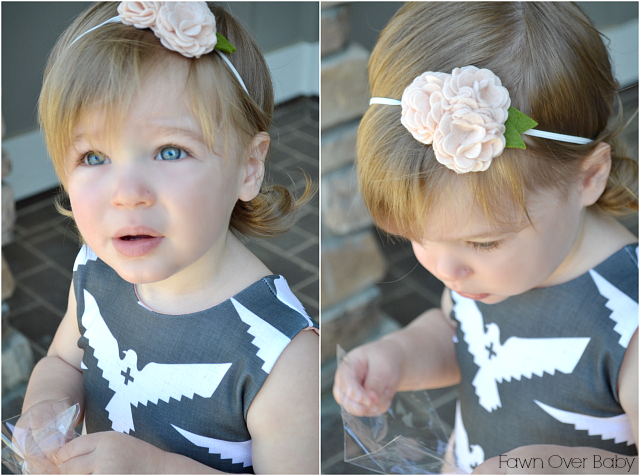 My new favorite shop for adorable hair accessories for littles is Bare Blooms on Etsy! 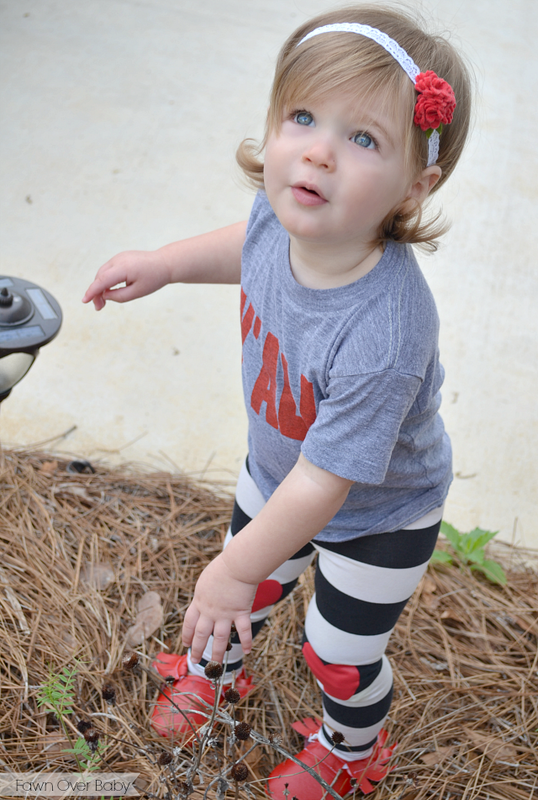 Owner and creator Ashley Staples is a wonderful blogger friend of mine and just recently turned her hobby of making hair accessories for her baby girl Keziah into a small home business. For a closer look at this sweet family, see Keziah's beautiful 1st birthday Party featured on Fawn back in February. 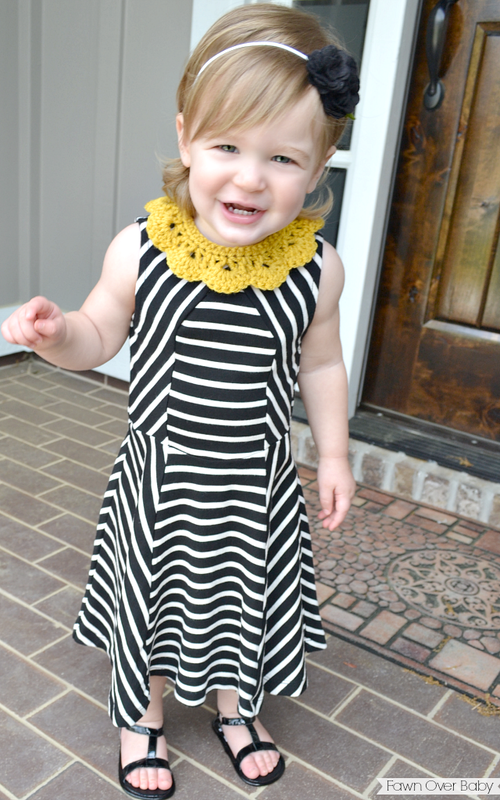 I am so happy for Ashley and excited that we get to share her adorable creations with you today! 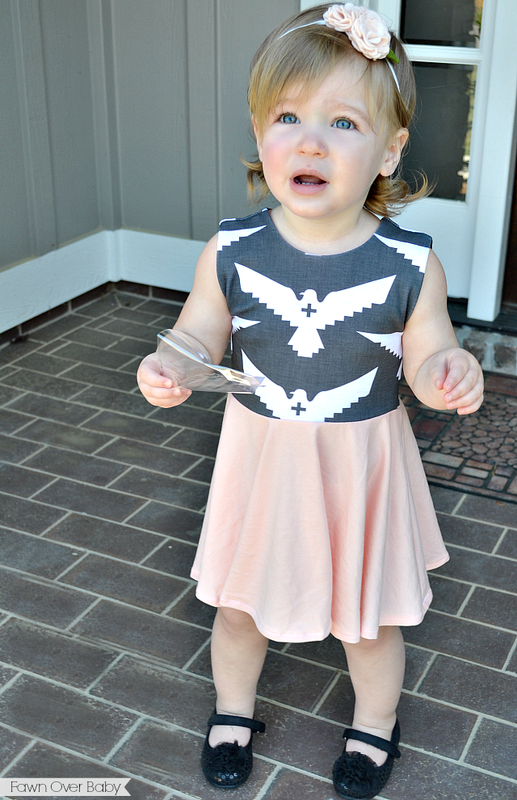 My little McKenzie was sweet enough to let me dress her up to showcase our different Bare Blooms styles! "Happy" dress up days are becoming few and far between, so I'm excited that she was willing to go along with my mommy fun time! First up in our Bare Blooms highlight is this sweet "Bloom Bunch" in Blush Pink! This style consists of 3 wool felt blooms with an adorable leaf detail permanently attached to a skinny elastic headband. You also have the option to attach your bloom(s) to an elastic lace headband or alligator clip upon your request. I was so happy with how comfortably this headband fit on McKenzie's head and the bloom bunch stayed perfectly in place! This little one doesn't stay still for long, so it was nice that her Bare Blooms didn't slide around or off. Our second style is a Beautiful Single Wool Felt Bloom in the color Strawberry. This little bloom is attached to a lace elastic for an adorable feminine finish. 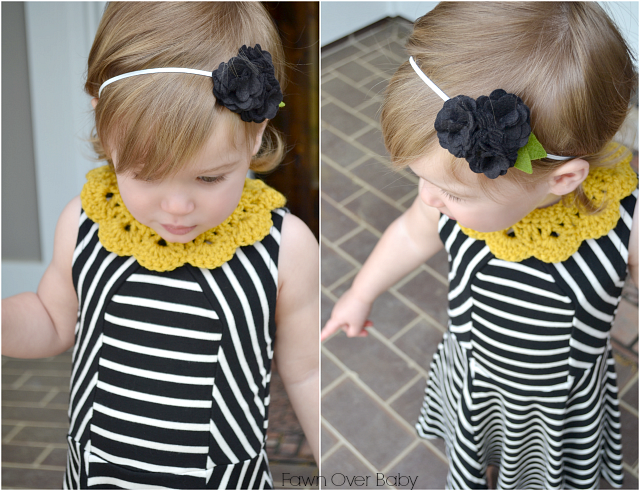 I love the simplicity of this bloom combined with the frilliness of the lace headband. It added the perfect touch of fancy to her casual comfy outfit. Again another comfortable fit without much sliding around. 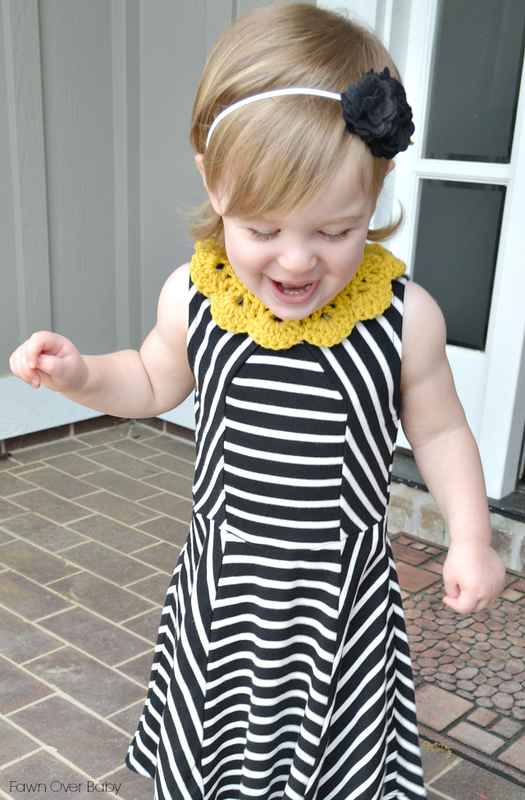 Here is McKenzie wearing her Bare Blooms wool felt bow in black attached to an alligator clip. I love the alligator clip option as some days Kenzie is not feelin' the headband and all I have to do is clip her bangs back and go. 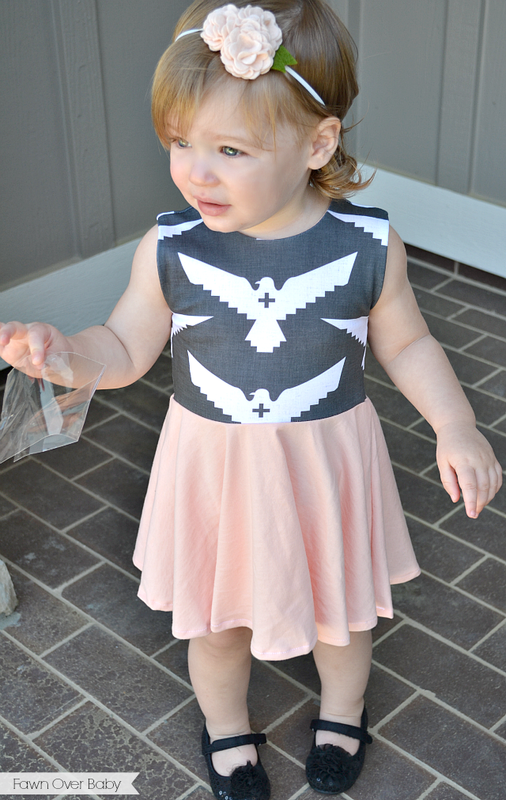 This light weight cutey also fit comfortably and held those wispy bangs back like a charm! 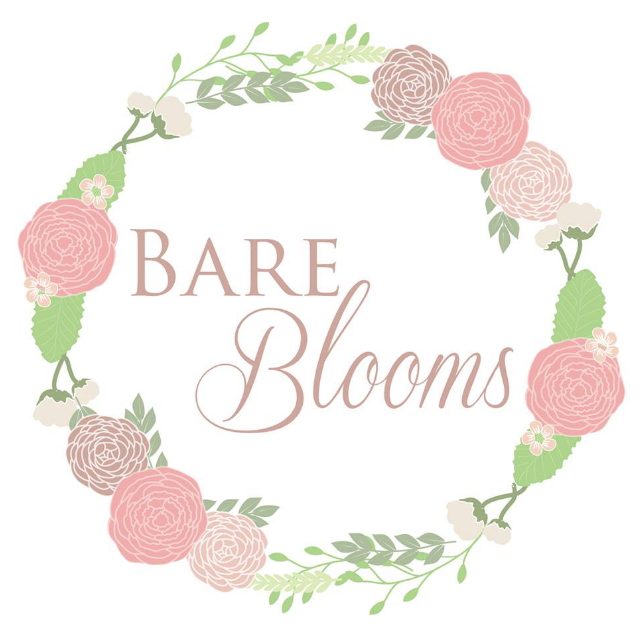 To celebrate her new Bare Blooms Shop, Ashely would like to kindly welcome you with a 25% Off coupon to use toward your purchase! I'm telling you, Ashley is the sweetest! 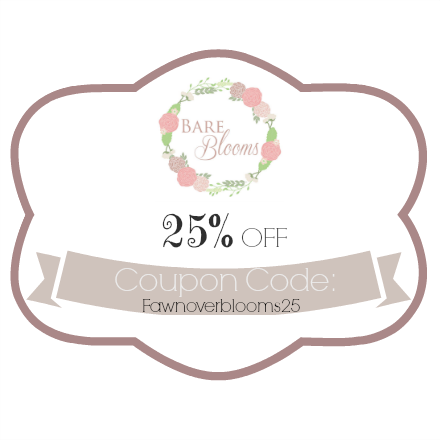 Just use code: fawnoverblooms25 at check-out to activate your 25% Off Coupon! 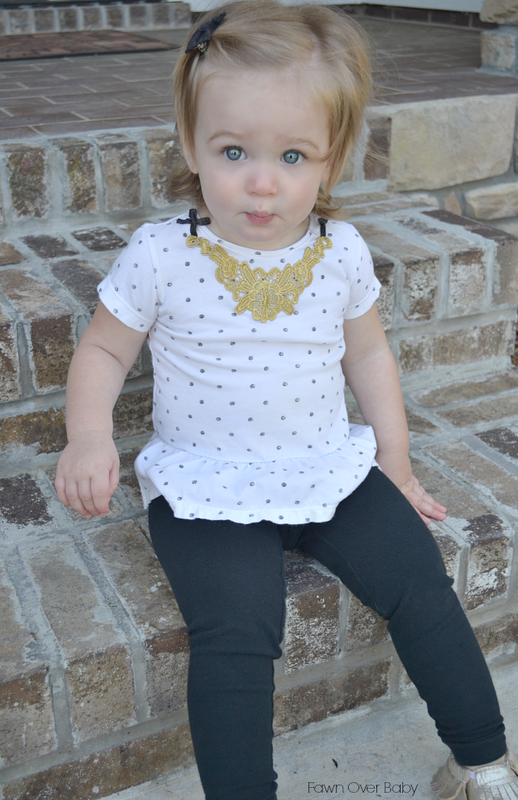 You are going to be so happy you added these little cuties to your little one's accessory collection! Promotion last until Friday, April 18th 12:00AM EST ! The fun and sweetness does not stop there, Ashely is also GIVING AWAY a $25 Bare Blooms Shop Credit to one lucky Fawn Over Baby Reader! To enter, fill out our giveaway Rafflecopter form below with options for extra entries! Giveaway ends this Friday, April 18th 12:00AM EST! Feel Free to Share With Family & Friends and GOOD LUCK! Love hearing about new shops for my baby girl! I'm so glad you stopped by! You will love these baby blooms! are you serious?! 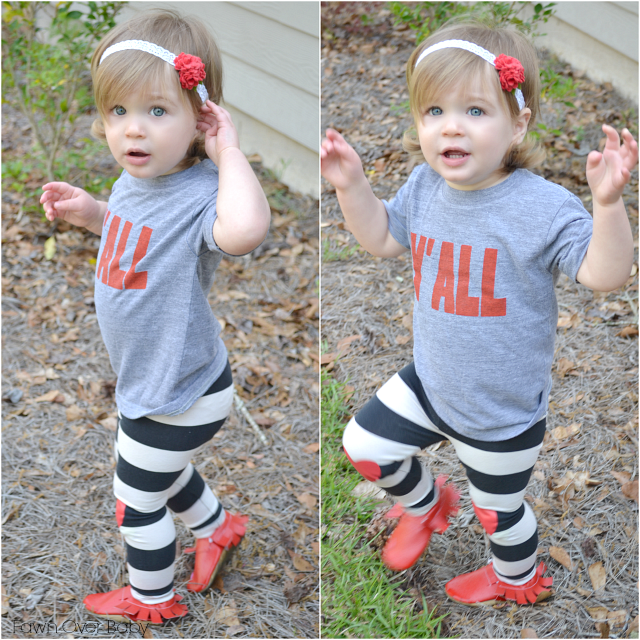 Mckenzie looks ADORABLE in every single thing. OH my gosh. I want every outfit twice. One for Fern, one for me! haha. And we can NEVER have enough headbands. I love when I find a new headband I like that isn't super tricked out in flowers the size of her head or hot pink tool, or whatever. These are so sweet. love them. Haha! You're so sweet Shayla, thank you! 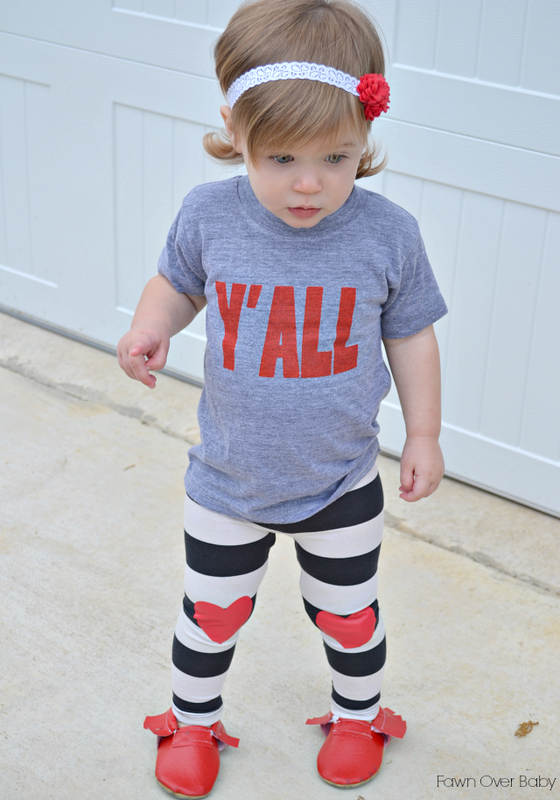 I hear ya on finding simple and sweet accessories for littles! OMGoodness... what ahappy lil cutie pie you have! Gahhh, love these little head bands!! I have a handsome little guy & not an adorable little girl... BUT I would LOVE to use these in my photography business w/ my kiddos & babies! Thank you so much for the sweet chance! 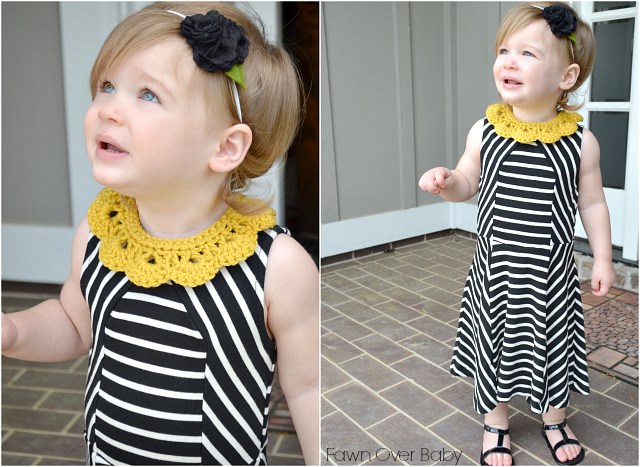 These would be such a fun and beautiful prop for your littles on set! Thank you for stopping by and entering today! OH MY WORD, this is TOO cute! She is just way to much! So sweet.